We've collected an assortment of articles, videos and books that have inspired us over the years. We hope they can provide a jolt for you. The absolute best book on understanding the power of capital allocation and the role it plays in generating shareholder return. This is REQUIRED reading for any and all CEOs. Did you know Bill Gates went to one of two high schools in the U.S. that had a computer? 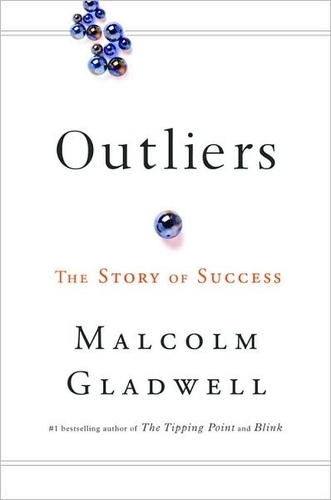 Malcom Gladwell's fascinating set of stories reminds us how powerful circumstance can be in success? We are a huge fans of process creating genius. This book provides an incredibly insightful look into how some of the most complicated success stories are often a series of steps, followed in methodical manner and enforced by top brass. Sir Branson always provide that "umph" we need when we're thinking about making a decision. While often called an investor, we find ourselves continually learning how great of a business Mr. Buffet is. His letters provide a window not only on how to make great investments, but how to run a great enterprise and how to live life. Reid Hoffman is one of our favorite thinkers when it comes to high growth businesses. In this podcast we were reminded how important it is to build things that don't scale early on. Get your hands dirty and serve customers one by one.